Do you ever find yourself feeling completely frazzled about your family’s activities in a given week? With our large family lifestyle, I have found that keeping up with everyone’s activities can be hard on me. I’ve been known to show up for a doctor’s appointment at the wrong time! 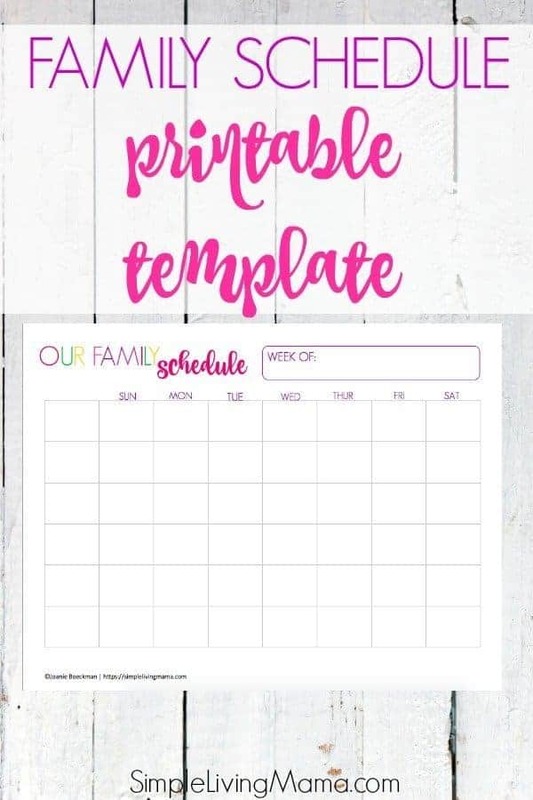 I decided to design this cute weekly family schedule printable to help keep me organized, and to let everyone in the family know what is going on during our week! I designed this weekly schedule template for you to fill in the activities of six people. 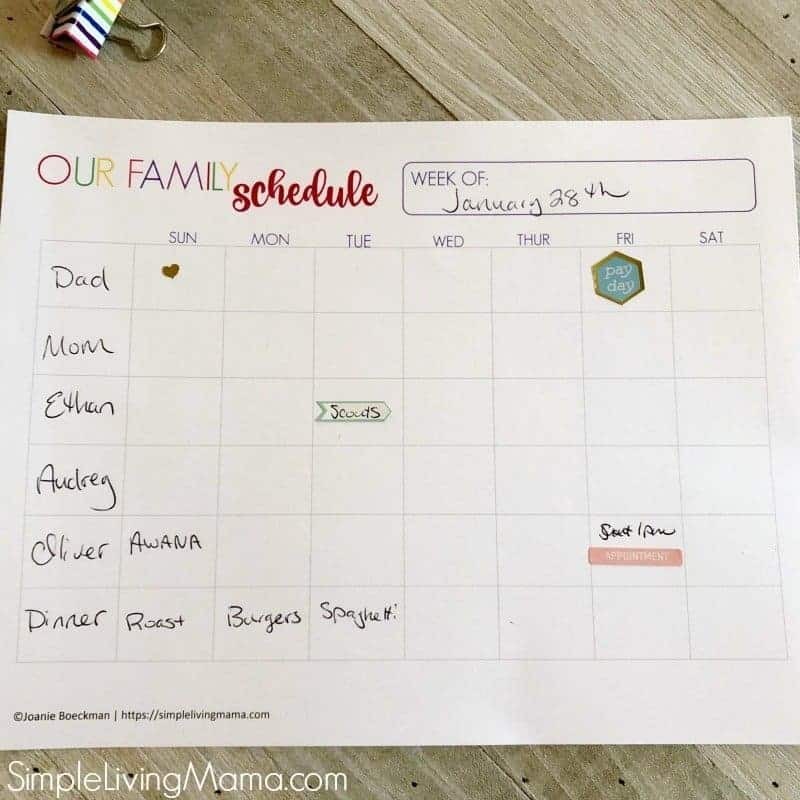 This is a great way to keep track visually of everything going on in your family so that you don’t forget important events and appointments! If you have less than six people in your family, you could use a block to write down your menu plans. Place this schedule on your refrigerator (laminate it for repeated use with a wet erase marker! ), a bulletin board, or in a glass frame in a prominent place! You know I’m all about simplification! 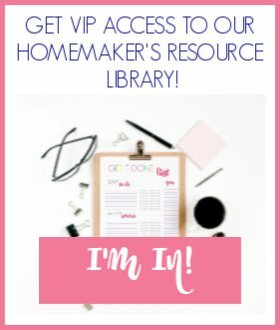 If writing down your family’s weekly schedule leaves you scratching your head, I have a few tips for you! 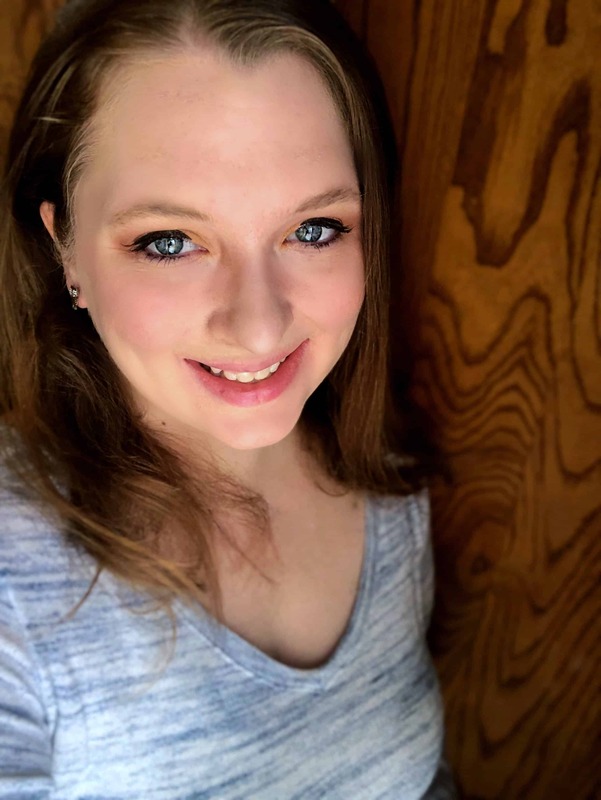 Schedule appointments and errands for one day during the week. If you keep your appointments to one day a week, you won’t go bonkers having to plan several outings per week. Evaluate your children’s extracurricular activities. How many per week are you going to? Does your child truly love the activities? Could you cut back in this area? Plan family dinners. We like to have dinner together as a family every night. I know that’s not always possible in every family, but I would highly recommend at least one family dinner per week. More if you’re able. The Life Giving Table by Sally Clarkson is a wonderful book for inspiration on this topic. If you need even more inspiration, I’ve written How To Live Simply When Life is Anything But Simple for more tips on reducing stress in our busy lives. Currently, you can snag this free printable weekly family planner in our shop! Want even more blank printable charts? I’ve designed several different printable calendars and planning pages. Most of them are free and they all coordinate with our cute and colorful theme. 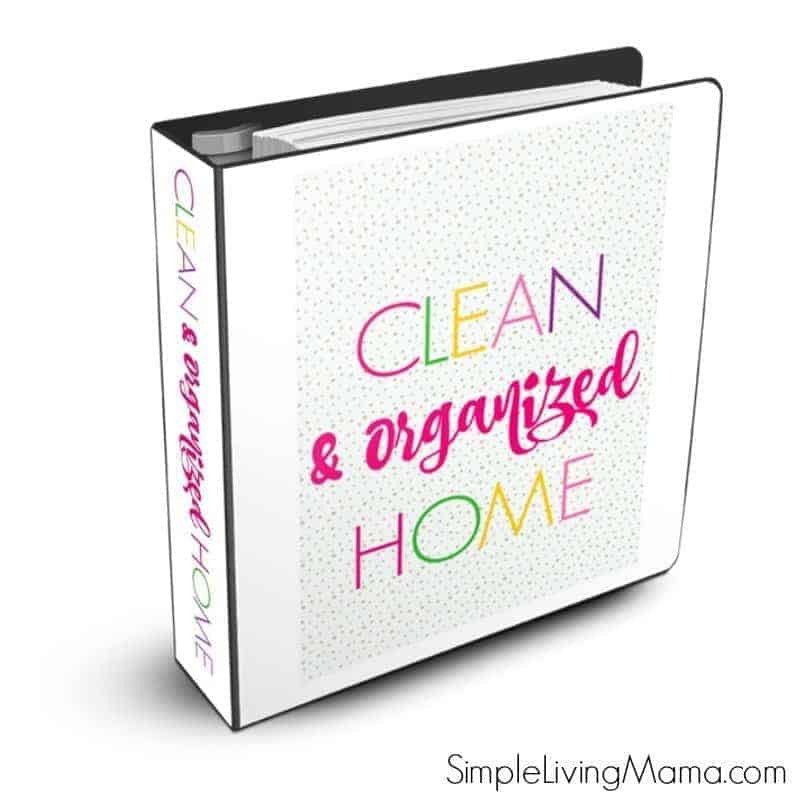 And if you want to get your home organized, our Clean and Organized Home Binder is the perfect solution!